Here at North Houston, we strive to help every customer who walks through our doors, whatever their skill level or interest may be. Are you looking for an instrument? There are tons of new, used, vintage, platinum and clearance equipment and accessories to browse through in our impressive showroom. Or maybe you want to learn a new skill. If so, we feature a number of workshops and classes, so stop on by or call at 281-537-9100 for all the details. Guitar Center North Houston provides comprehensive guitar repair services for the Houston area. Our repair technicians are as passionate about your guitars and basses as you are, and we have the experience needed to keep them performing at their best. Whether you need a quick adjustment to make your guitar easier to play, or a complete guitar rebuild, we have the tools and know-how to take care of your instrument. 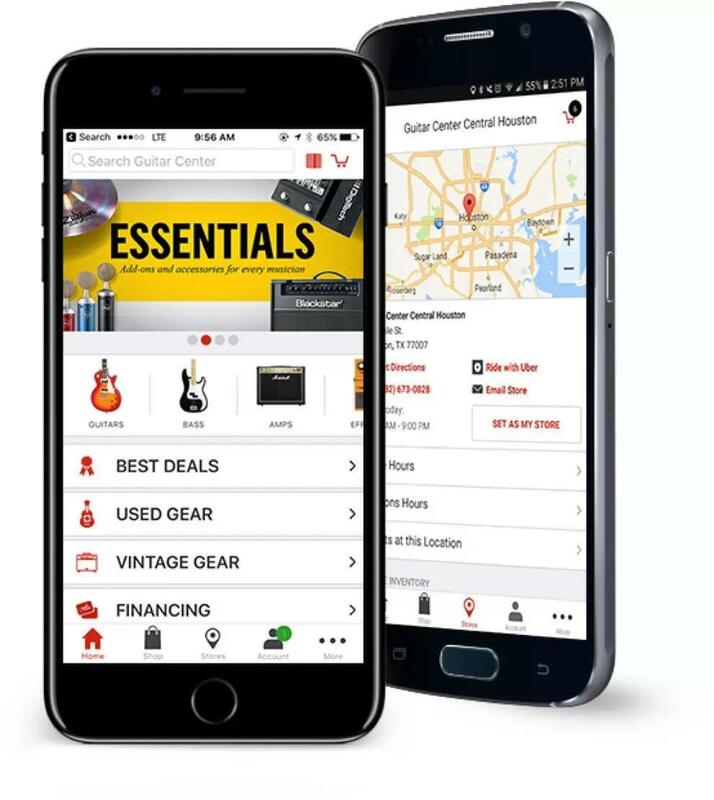 Guitar Center North Houston can also help build a maintenance plan that fits you and your guitar or bass needs, including custom setups, restrings and more. We also take care of fret repairs, hardware and pickup installations, upgrades and customizations, bone and graphite services and more. Guitar Center North Houston opened way back in 1994 to serve customers in the Lone Star State, and we're still going strong today. Conveniently located at 16745 North Freeway right off Interstate 45 and directly besides the Grainger building, our helpful staff is passionate about music and eager to give you any assistance they can.First and foremost at Guitar Center North Houston, we strive to give you the experience that Guitar Center is known for nationwide: big-store selection and prices with small-shop expertise and personality. From sales to repairs, our staff in each department is well-trained to cater to Houston music-lovers. Our store is open every day of the week, so there's always a right time to visit even if you're on a busy schedule.